Also limit the amount of open tabs you have and the number of extensions. For comparison's sake, since I'm a power user and a tab hoarder, I have 124 tabs open and 66 extensions loaded at the moment using 32-bit Firefox and it is using 620MB, which is pretty good. Sea monkey seems to be a nice alternative from Firefox portable, does someone can tell me if it is lighter in memory usage than firefox portable both without add on? tactictoe wrote: Sea monkey seems to be a nice alternative from Firefox portable, does someone can tell me if it is lighter in memory usage than firefox portable both without add on? There should be no way for SeaMonkey to be notably lighter than Firefox because both browsers use the Gecko engine. BTW, I have used SeaMonkey as my primary browser since fall 2013. That's what I suspected, thanks for the info anyway. But will trust you usage and add this one as a portable browser in my little collection of essential tools. Gee, guys, thank you for the help with setting up SeaMonkey -- I'm overwhelmed by all the appreciation I got for the thoroughly researched 9 other paragraphs of my post. FTR, what I'm running is a 32-bit Firefox installation, with 25 mostly tiny run-on-demand extensions (none of which where added after the last five iterations of Firefox update), with less than 100 open tabs (which are further set to only load when I turn to them); meanwhile Firefox has grown from a staggering 600-700MB memory footprint for a dozen tabs to the present figure that is apparently so impressive. And this isn't the first time I witnessed Firefox gobbling memory like there's no tomorrow, until it becomes completely unresponsive on my SSD based i7 system; I have put up with it because I really appreciate its features and customizations, that being the major reason why I have been using it for almost ten years now, and also because no alternative program ever came close to match it. As I explained, I used one of existing SeaMonkey icon files provided by the PAF package to customize Tiny Menu; thing is, if you just point at it from Tiny Menu options, that particular aspect of the setup will become non-portable. To solve this, you'll have to edit the 'pref.js' file in your profile folder to find the line starting with 'user_pref("tinymenu.allMenus"...' and change the part that reads something like "file:///<DRIVELETTER>:/<PATH>/SeaMonkeyPortable/App/AppInfo/appicon_32.png" to "chrome://tinymenu/skin/appicon_32.png", after copying said file to the 'extensions\tinymenu\skin' sub-folder inside your profile location (and don't forget to close SeaMonkey while you do this). I also forgot to mention the theme I applied to make SeaMonkey look even more like Firefox: it's Classic Firefox theme for SeaMonkey. 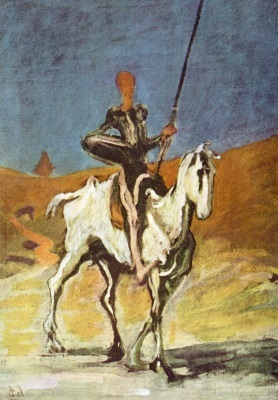 "Let us ride, Rocinante, for our quest must go on." Last edited by Midas on Wed Jan 10, 2018 9:43 am, edited 1 time in total. Midas wrote: Gee, guys, thank you for the help with setting up SeaMonkey -- I'm overwhelmed by all the appreciation I got for the thoroughly researched 9 other paragraphs of my post. Well, I thought that responding to your post would have been even worse. Midas wrote: Moreover, I have no need for a full program suite -- with mail and chat clients and HTML editor -- so I immediately started tweaking the PortableApps version to make it more amenable to my taste (you can judge the results by the screenshot below). Meanwhile I want the full program suite: the email client and feed reader were the most important reason why I chose SeaMonkey in the first place. This alone means that your information about customizations isn't very useful to me. The theme I use is Metal Lion Sea Monkey. [url]https://addons.mozilla.org/en-US/thunderbird/addon/tiny-menu/[/url] author wrote: Replace the standard menu bar with a tiny menu popup. Likewise, I think there is nothing wrong with a traditional menu bar. As you can see, this isn't exactly constructive. I didn't want to send a reply like that. SYSTEM wrote: There should be no way for SeaMonkey to be notably lighter than Firefox because both browsers use the Gecko engine. In my unscientific tests, SeaMonkey is lighter than Firefox (but not by that much) due to SeaMonkey not using Australis and uses probably an older version of XUL due to its outdated UI, which helps memory-wise. SYSTEM wrote: Meanwhile I want the full program suite: the email client and feed reader were the most important reason why I chose SeaMonkey in the first place. This alone means that your information about customizations isn't very useful to me. Fair enough. To each, his own -- ain't diversity grand? SYSTEM wrote: The theme I use is Metal Lion Sea Monkey. SYSTEM wrote: Likewise, I think there is nothing wrong with a traditional menu bar. SYSTEM wrote: As you can see, this isn't exactly constructive. I didn't want to send a reply like that. On the contrary, as the first long time user to come forward, the authority of your experience is highly valued. freakazoid wrote: In my unscientific tests, SeaMonkey is lighter than Firefox (but not by that much) due to SeaMonkey not using Australis and uses probably an older version of XUL due to its outdated UI, which helps memory-wise. Your opinion is aligned with my first impressions, too. Long time user of K-Meleon, too (v0.7 was my first, if memory serves me right) -- before I switched to Firefox (and related Mozilla based products like Pale Moon and Waterfox). The glacial pace of updating and the intensive tweaking required finally drove me off... but you can still find some of my meager contributions around the lizard forums. For reference, K-Meleon 76 RC uses Gecko 38.8 and Pale Moon uses a fork of Gecko 20-something (not sure exactly what) with some upstream security fixes and some "improvements" (again, not sure what other than disabling Australis and some other things). Last edited by Midas on Wed Jan 10, 2018 9:39 am, edited 1 time in total. I also changed the tab throbber to something other than the crappy hourglass. Midas - You should switch out Scriptish for Greasemonkey. Greasemonkey should be compatible with the latest version of SeaMonkey, although you might have to force addon compatibility. Last edited by freakazoid on Tue Jul 04, 2017 12:24 pm, edited 1 time in total. freakazoid wrote: Midas - You should switch out Scriptish for Greasemonkey. Greasemonkey should be compatible with the latest version of SeaMonkey, although you might have to force addon compatibility. If you just run one userscript, you might want to try using SM's native userChrome.js instead (Firefox has this ability as well). Then, you can eliminate another addon. Not sure if your Pinterest script will work out of the box, but hope that's enough to get you started on doing some research. I'm looking into it. Thanks. robertcollier4 @ http://web.archive.org/web/20150622021331/http://www.portablefreeware.com/?id=2089 wrote: Almost all firefox extensions work with Seamonkey if you tell them to. BTW, there appears to be an actively developed GreaseMonkey port for SM at https://gmport.sourceforge.io/. Last edited by Midas on Wed Jan 10, 2018 9:39 am, edited 2 times in total.